Over time, high blood sugars can cause damage to retinal vessels and vision loss from diabetic retinopathy. Diabetes is commonly known as elevated blood sugar. It occurs in young people who have trouble producing a substance called insulin that regulates blood sugar, as well as in older people who develop resistance to insulin as they age. Young diabetics are often referred to as Type 1, while older diabetics are ofte referred to as Type 2. There are also some diabetics who exhibit characteristics of both Type 1 and Type 2 diabetes. All types of diabetics suffer similar effects of elevated blood sugar. When diabetes is uncontrolled it damages blood vessels throughout the body. The longer a person is diabetic and the more poorly the blood sugar levels are controlled, the more likely that person is to suffer blood vessel damage. As diabetes worsens, it first affects the smallest blood vessels, called capillaries, throughout the body. Some of the locations in the body where tiny capillaries are the most important include the kidneys, the nerves in the legs, feet, and hands, and in the light-sensing tissue of the eye called the retina. The earliest sign of small blood vessel damage in the retina is background diabetic retinopathy, also known as non-proliferative diabetic retinopathy. Background diabetic retinopathy occurs as small blood vessel disease becomes visible in the retina, and your eye doctor can see small aneurysms or hemorrhages (also known as "blood spots") in the retinal tissue at this stage. Most diabetics with background diabetic retinopathy do not know that they have this sign of advancing diabetes, since it does not always affect the vision when it is mildly or moderately severe. However, early detection of background diabetic retinopathy is crucial, as it helps the patient's primary care doctor or endocrinologist (diabetic disease specialist) know the status of the diabetic blood vessel damage throughout the body. The diagnosis of background diabetic retinopathy also lets the patient's eye doctor know that the patient is at a higher risk of vision loss than a patient without background diabetic retinopathy. The guidelines of the American Diabetes Association and American Academy of Ophthalmology reflect that all diabetics should have a dilated eye exam regularly in an effort to detect background diabetic retinopathy while it is still in its early stages. What is a Diabetic Eye Examination? When a patient comes to the retinal office for a diabetic eye exam, there are sometimes special imaging tests recommended by the doctor in addition to the dilated eye exam. These tests can include specific pictures of the eye with both regular color digital cameras and special laser cameras. Retinal tomography, or an evaluation of the retinal thickness and the retinal layers, is a unique technology often used to assess the structure and health of the diabetic retina. 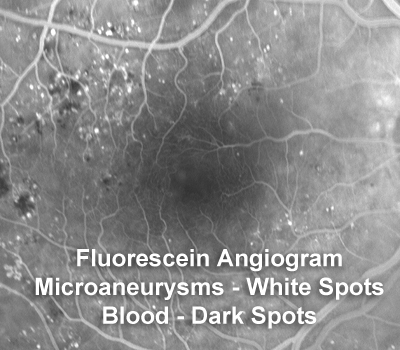 Fluorescein angiography is another specialized imaging test that allows for detailed visualization of the tiny retinal blood vessels as well as leakage from areas that are diseased. Sometimes an ultrasonic picture of the back of the eye is obtained. During your visit, your doctor will decide which of these tests are important for assessment of the retina. Not every test is recommended at every visit. What can I do to Preserve Vision? The cornerstone of saving vision in diabetes remains excellent blood sugar control. Over the last 2 generations, there has been ample, repeated evidence that keeping the blood sugar at an appropriate level, controlling blood pressure, and monitoring cholesterol and fats in the blood are the most effective ways to stave off diabetic retinopathy. It is very important that every diabetic has a good relationship with their primary care team and makes every effort to optimize their diabetic health. 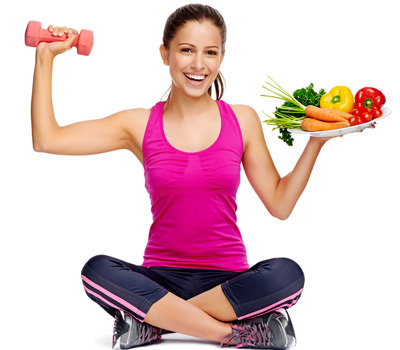 A healthy diet, regular exercise several times each week, routine at-home blood sugar monitoring as directed by your diabetic doctor, and ongoing compliance with diabetic medications are the most important part of saving vision in diabetes. 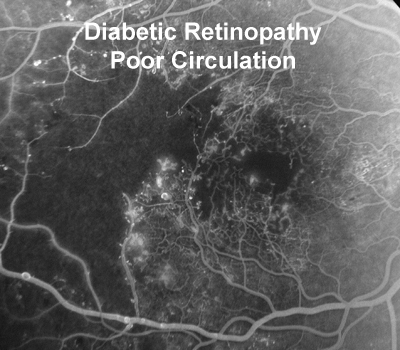 If diabetes remains poorly controlled, background diabetic retinopathy advances as there is more and more small blood vessel damage. The small blood vessels continue to collapse and result is varying degrees of retinal ischemia, or poor blood flow to the retinal tissue due to the absence of normal blood vessel supply. Essentially, progressing diabetic retinopathy is like placing a tourniquet on the retina a slowly tightening it. There is currently no technology to restore the lost blood vessels. The lack of these blood vessels itself can cause irreversible vision loss and often limits the vision in diabetics. , There are two treatable processes that occur as there is less and less normal retinal blood flow. The first is called diabetic macular edema, which means swelling in the retina associated with diabetes. This swelling can blur and distort the vision. The swelling occurs because the walls of the small blood vessels are progressively more damaged in diabetes, and there is leakage of blood and fluid into the cells of the retina. The second treatable process in diabetic retinopathy is the growth of abnormal new blood vessels in the eye. This process is called proliferative retinopathy. The abnormal new blood vessels in the eye probably appear in response to progressive absence of normal blood vessels, and this is an even more ominous process than diabetic macular edema. 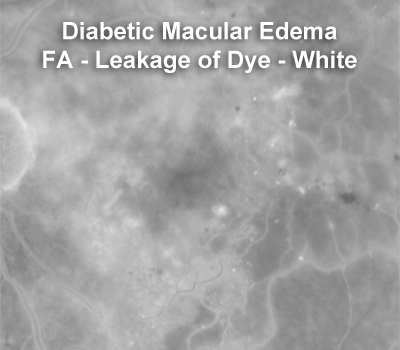 Often there is both diabetic macular edema and proliferative diabetic retinopathy in the same patient at the same time. The abnormal new blood vessels seen in proliferative retinopathy are fragile and often will bleed into the vitreous jelly filling the back of the eye. This process is called vitreous hemorrhage, and patients will often see hundreds of spots, swirls, or lines when vitreous hemorrhage begins. 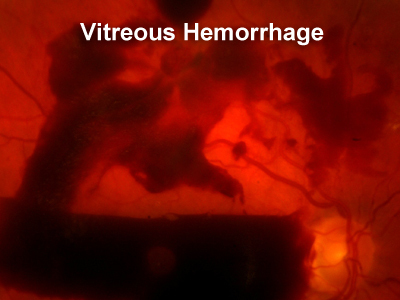 Sometimes the hemorrhage can be so dense that there is severe blurring of vision. As the abnormal new blood vessels continue to grow, they get denser and thicker. This process can lead to tugging or traction on the retina, and that is termed a diabetic tractional retinal detachment. Diabetic retinal detachment is the most serious and advanced stage of diabetic retinopathy. Abnormal new blood vessel growth in the eye can be treated in its earlier stages with laser therapy. The laser technique is much different than that applied to diabetic macular edema. 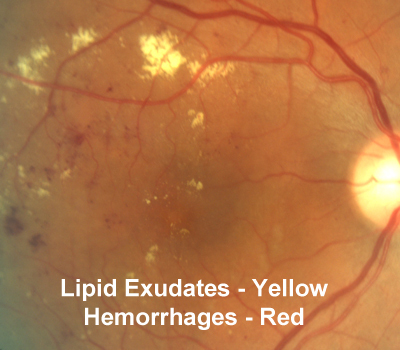 Patients with diabetes develop weak blood vessels in the retina that are prone to bleeding. If bleeding occurs into the vitreous cavity, patients will see many tiny floaters and develop moderate to severe vision loss. The blood inside the eye doesn't harm the eye but it does block the vision. Blood inside the eye will sometimes absorb within a few weeks or months. When the blood absorb the vision improves. If the blood doesn't asborb, vitrecotmy surgery can be performed to improve the vision. Because of the risk of surgery, most surgeons wait anywhwere from one month to 6 months depending on the situation to see if the blood will clear without surgery. What is a Diabetic Tractional Retinal Detachment? Patients with proliferative diabetic retinopathy sometimes develop a tractional retinal detachment. This can occur when scar tissue grows on the surface of the retina and then contracts or is pulled forwward in the eye by the vitreous. When this happens, the retina, which is stuck to the diabetic scar tissue, pulls away from the back of the eye and away from its blood supply. The vision declines and the retina suffers. Tractional retinal detachments can usually be prevented if sufficient pan-retinal laser is administered before the scar tissue progresses. 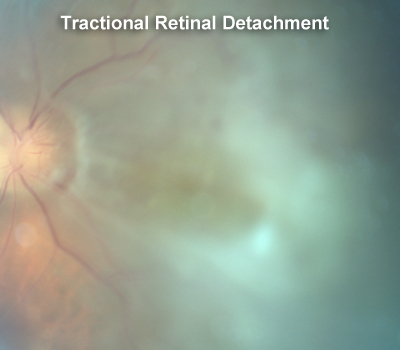 Once there is a tractional retinal detachment surgery can be helpful. Artificial intelligence vision-screening company Eyenuk (Woodland Hills, Calif.) said it has launched an AI-powered diagnostic *service* for diabetic retinopathy. Future studies should be designed to assess sociodemographic variables and how these influence the risk of diabetic retinopathy and glycemic threshold. Petri Huhtinen from Organisation Optomed OY Ltd argues that proper diabetic retinopathy (DR) monitoring improves health and saves money. 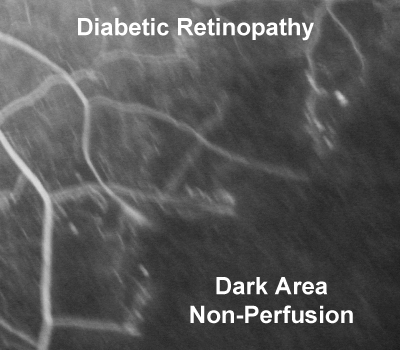 Patients with type 1 or type 2 diabetes are at risk for developing diabetic retinopathy. Eye screening programs are important to preserve vision. Thorough evaluation of Global Diabetic Retinopathy Market considering rivalry, segments, revenue outcome, regional markets, and robust players. Association between lipid accumulation product and diabetic retinopathy based on a community-based survey in Chinese with type 2 diabetes. More than $107000 in grants awarded to organizations across the Upper Peninsula. 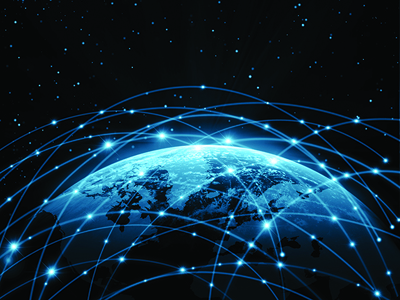 Recipients of Fulbright awards are selected on the basis of academic and professional achievement, as well as their record of *service* and leadership potential. Researchers from Queen's University Belfast have found a new way of treating major eye diseases caused by the unusual growth of new blood vessels. FDA clearance of an AI system for diagnosing diabetic retinopathy using retinal images shows medical potential of deep learning and algorithmic analysis. Eyenuk, Inc., announced today the launch of the EyeScreen™ Human + AI Diagnostic *Service* for diabetic retinopathy. A YORK opticians has invested £40000 in new 3D scanning technology. Hospitals in India are helping Alphabet build an artificial intelligence algorithm that screens patients for diabetic retinopathy. Nov 14, 2018 12:00 AM. If you are one of the 30.3 million Americans with diabetes, you are at risk for diabetic eye disease—including blindness. TARRYTOWN, N.Y., Feb. 9, 2019 /PRNewswire/ -- Trial showed that early intervention with EYLEA improved diabetic retinopathy severity and prevented serious. Download Free PDF Brochure of Ophthalmology PACS Market Study Research Report Now at www.reportsnreports.com/contacts/requestsample.aspx?name=.